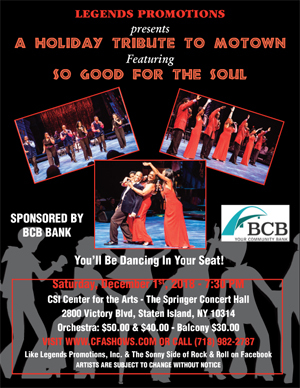 Sit back and enjoy the greatest Motown groups of the 60s’ and 70s’ with “So Good for the Soul”. 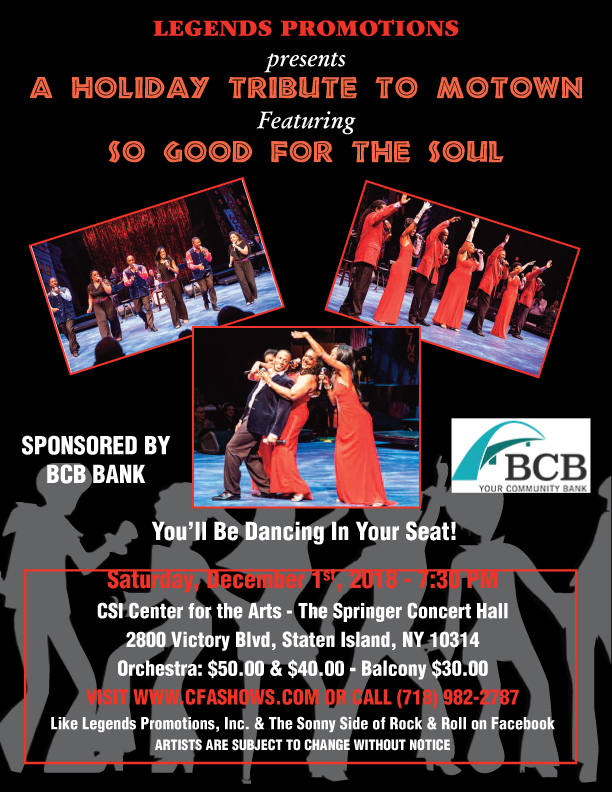 This is a tribute to music of Motown featuring the songs of the Temptations, The Four Tops, The Supremes, and Marvin Gaye. Sing, dance, and celebrate the music of your life to tunes as “My Girl’” “I Heard It Through the Grapevine,” “Reach Out,” “Shop Around,” “Dancin’ in the Street,” “Stop in the Name of Love,” “Ain’t Nothin’ Like The Real Thing,” “Ain’t no Mountain High Enough,” “How Sweet It Is,” and “Uptight”. This incredible tribute to Motown has over 30 non-stop hits in all. This show will definitely take you down memory lane.